A plant etageremakes a lovely addition to a patio or porch and gives you a beautiful place to display your plants and garden décor in an otherwise unused corner. This traditional victorian piece has three shelves with elegant scroll work design and combined with our three tiered rectangle étagère, it makes the perfect plant wall. 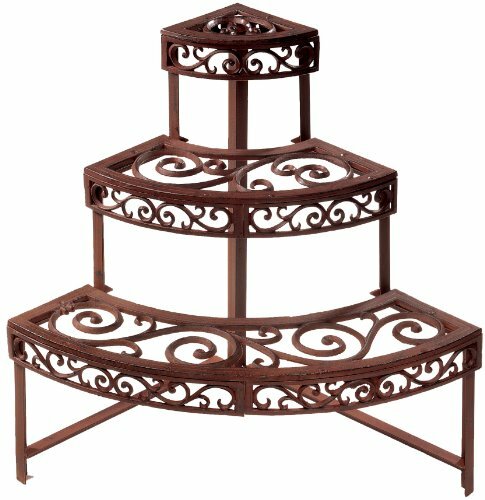 Etageremeasures 19-inch wide, over 31-inch high with 6-3/4 inch cast iron shelves.